Got a sweet tooth that just won’t quit? 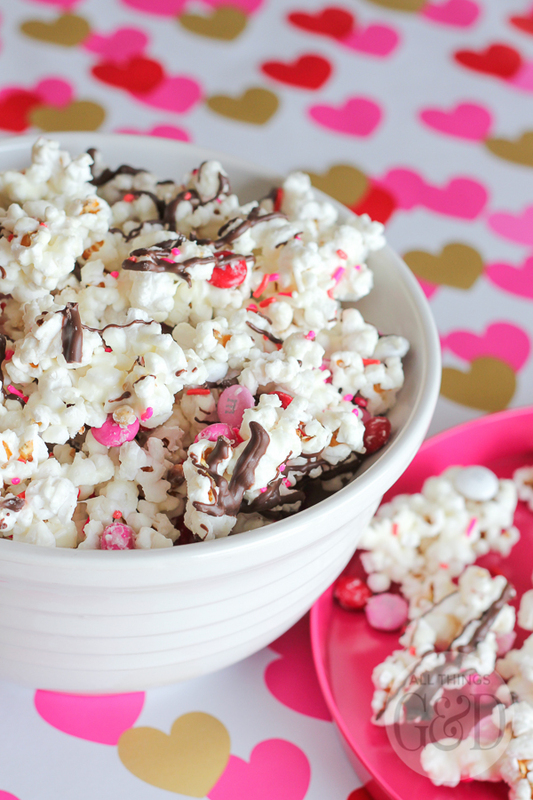 Treat it with this Super Sweet Valentine’s Popcorn Mix! Pop popcorn kernels and pour into large bowl. Melt white chocolate according to package directions, pour over popcorn and stir to thoroughly mix and coat popcorn. Spread white chocolate-coated popcorn and M&M mixture out onto large cookie sheet or jellyroll pan lined with parchment or wax paper. Melt chocolate candy coating (or milk chocolate chips) according to package directions and drizzle over popcorn mixture. Allow popcorn mixture to cool completely and then break into pieces and serve in a bowl or put into zip-topped plastic bag to store. This quick and easy treat can be enjoyed at home, or gifted to friends! It also makes a great last minute Valentine exchange treat. 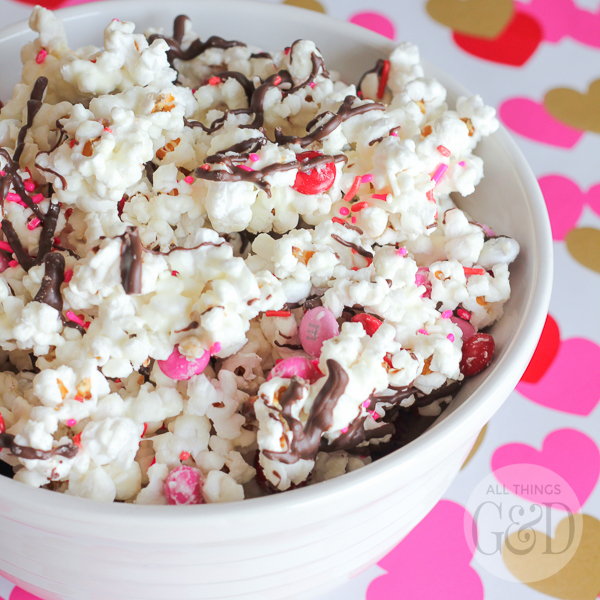 Come back tomorrow to download the free Valentine’s printable I made to go along with this super sweet mix! Give my all of the popcorn! My favorite snack – this looks delicious!